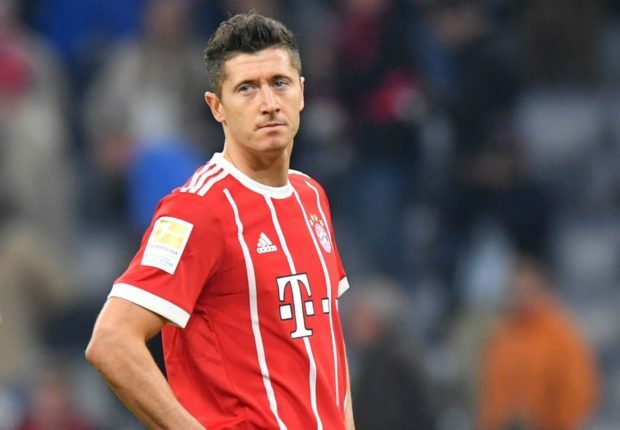 Chelsea are trying to secure the signature of Robert Lewandowski after Maurizio Sarri made the £80m-rated Bayern Munich hitman his No.1 target, according to the Daily Star. 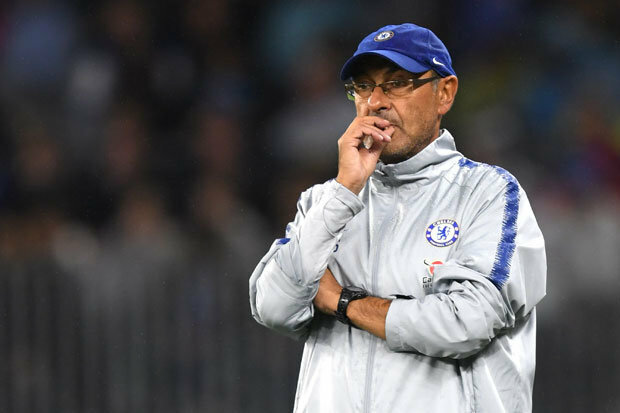 Sarri has brought in Jorginho and Rob Green since arriving as Chelsea manager earlier this month but the 59-year-old is expected to be extremely busy during the final stages of the window as he continues to revamp the squad he inherited from Antonio Conte. A new striker is on the agenda as Alvaro Morata is being strongly linked with a move away from Stamford Bridge after enduring a mixed debut campaign in the Premier League following his move from European champions Real Madrid 12 months ago. Chelsea have been linked with Gonzalo Higuain in recent weeks but the Argentinean international looks to be on his way to AC Milan and the Daily Star says Lewandowski has always been Sarri’s first choice target. The newspaper says Chelsea are hoping to secure a deal for the £80m-rated hitman after he made it clear he wants to leave the Bayern in search of a fresh challenge after four hugely successful years at the Allianz Arena. Lewandowski has been one of the most prolific strikers in the world over the past few years and he netted 41 goals in 48 appearances for Bayern last season to help fire them to yet another Bundesliga title and take his career tally to 151 goals in 195 games since joining from Borussia Dortmund in 2014. The Polish international is keen to try something new and the report says Chelsea are desperate to persuade them to cash-in on the unsettled hitman before the transfer window closes on August 9th. However, Bayern publicly claim the 29-year-old – who has four years left on his contract – is going nowhere and boss Niko Kovac reiterated that statement over the weekend after insisting they won’t let the striker leave this summer. “He will not leave this club. We certainly don’t want to let him go. We’ll have to wait and see how things progress over the coming days and obviously Lewandowski would be a sensational signing if Chelsea were able to pull it off but I think Bayern are going to make life extremely difficult. Do me a favour ffs!! How on earth do you make out that ‘signing Green’ was ANYTHING TO DO WITH SARRI??? Hes never heard of the geezer let alone asked for him. Its our boards way of getting a HG who will never get on the pitch!! And never in a month of sundays will our board under Roman shell out £80mill on a striker. Not even if he promised to deliver 40 PL goals a season. Hahaa… Even me i can’t see this happening not unless Roman sells Chelsea fc club to different oligarchs!! U hv said the plain truth.